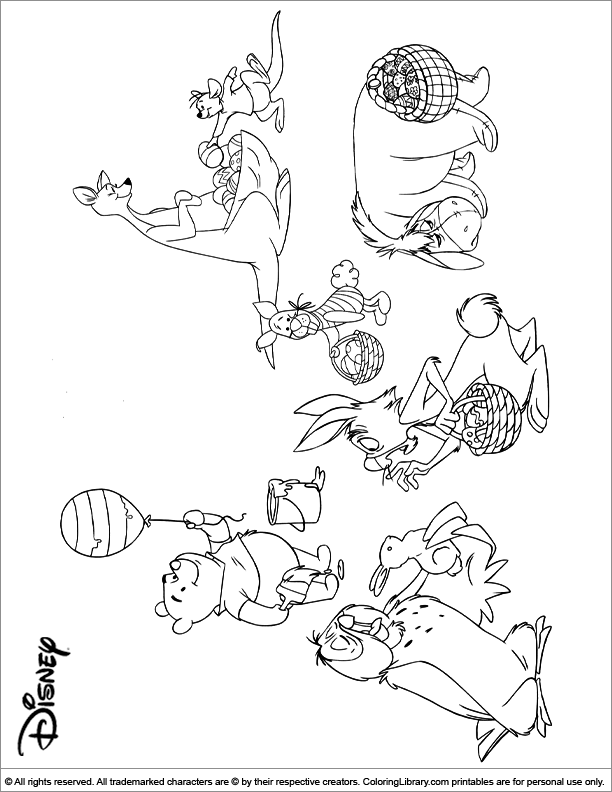 Print this Easter Disney colouring in picture so your kids can start colouring. Grab your paint and coloured pencils and get creative! These free colouring pages provide hours of fun for kids! Print many of the Easter Disney pictures and watch the excitement on your kids' faces as you present them with their own personalized colouring book!